Toyota has updated the Tacoma TRD Pro for 2017 and with sales just starting, it is already an award winning truck. 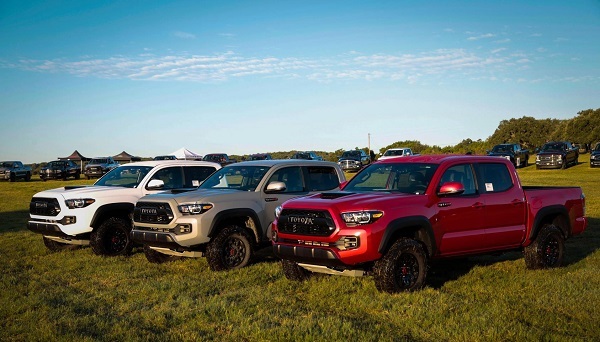 At this year's Texas Autowriters’ Association (TAWA) Truck Rodeo the Tacoma TRD Pro was named the Midsize Pickup Truck of Texas. The award is earned by the truck who impresses the 70 media members in attendance over a two-day on and off-road testing course. This year the event was held at the Longhorn River Ranch in Dripping Springs, Texas. Derek Price, TAWA’s VP of Events told Torque News that the GMC Canyon Denali in attendance was also a popular truck, but in the end, the Tacoma TRD Pro was the overall category winner. Ford was a big winner this year at the event, winning best line of trucks and the Truck of Texas. Ram also did well. GM had no category winners.